There are 6266 posts in this topic. You are on page 125 of 126. 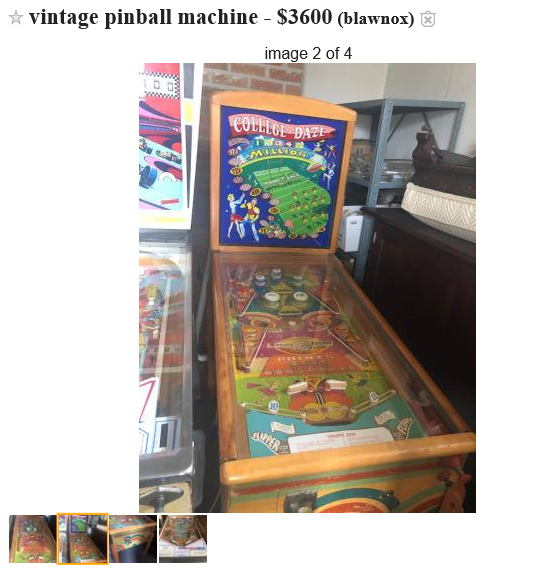 I can excuse the 'like new' condition, if they're only askin' $500.. 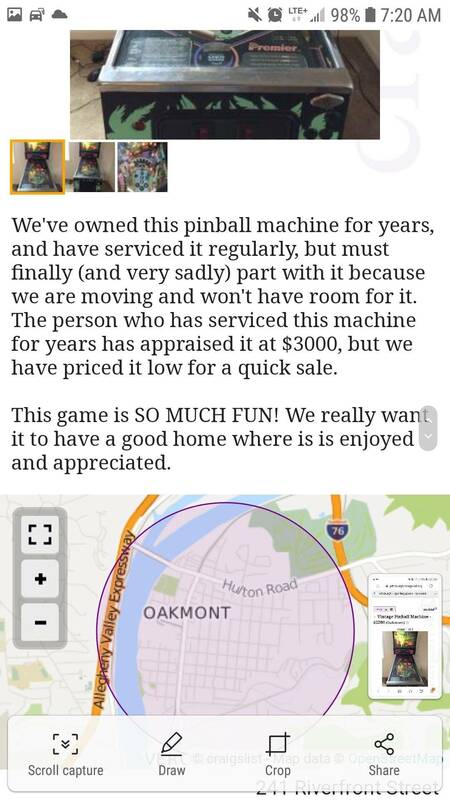 There is a spin out for 4800 on Pittsburgh craigslist??? 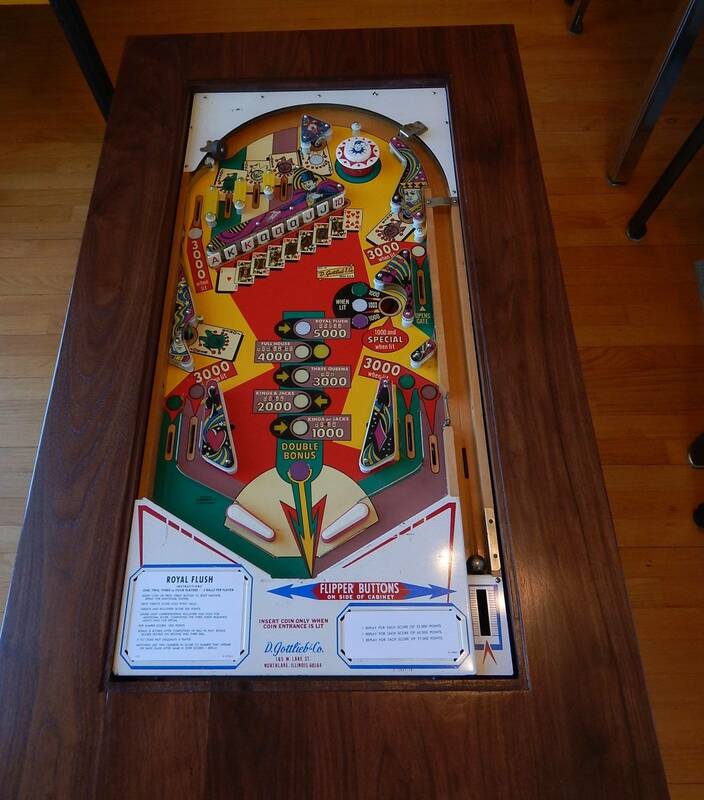 How about this backglass beauty at a bargain price on Ebay with free shipping to boot! 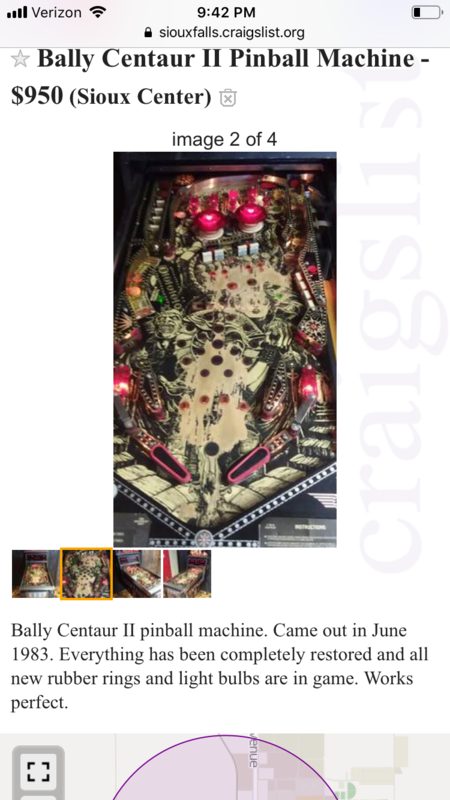 Advertised as "like new" condition. That looks like a Gorgar right slingshot plastic ?? deerlakes6 - don't miss the $3,600 'family owned' wood rail right next that that Spin out! Cant see it been removed. Try to grab a screen shot. Like a new dirt road. Looks good to me! But, those pops cap colors are in the wrong spots. Deal breaker!! 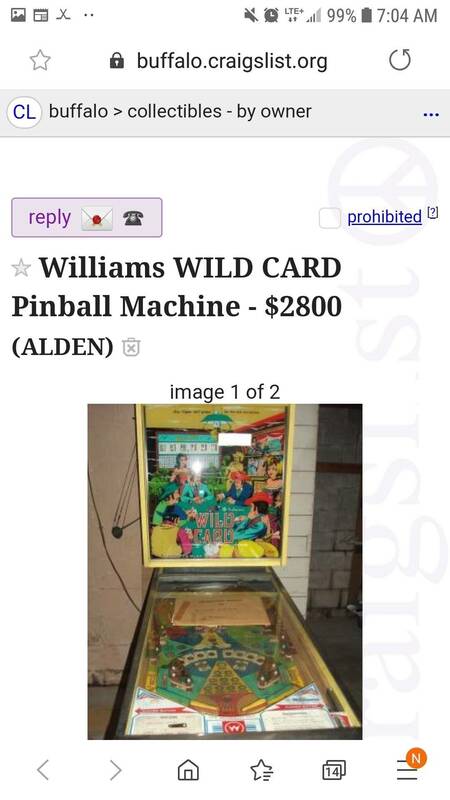 It's one of those rare Williams EBDs. 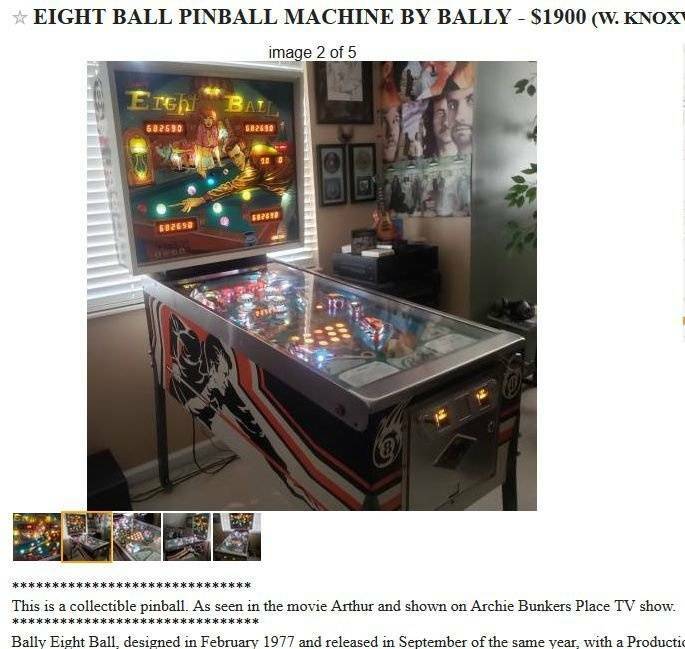 Finding an EBD north of $10K is the absolute rarest. 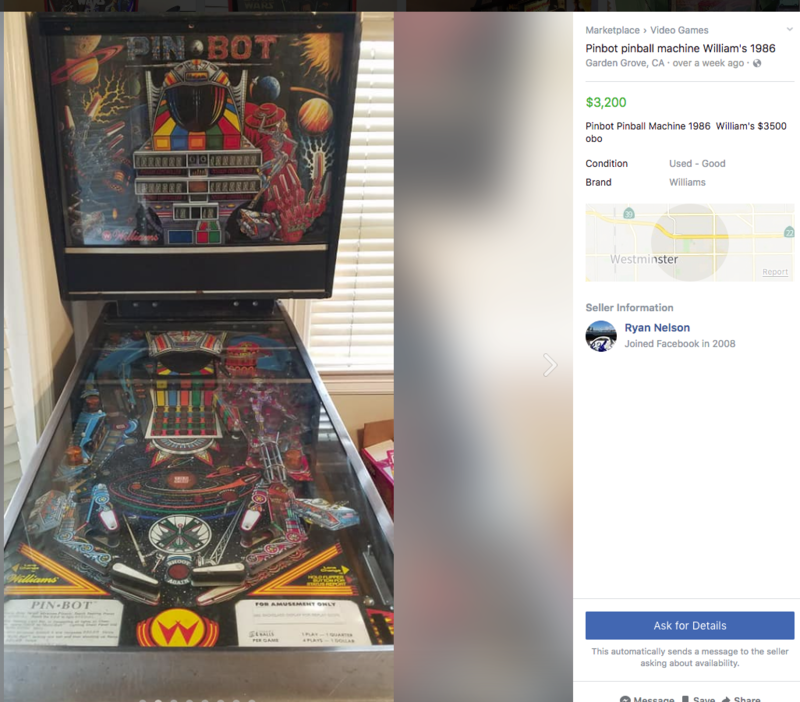 Ok, so this is Facebook Marketplace, not CL. But 4K just needs a little tlc? Like cutting the string holding the back box together? This doesn't make me laugh so much as cry. 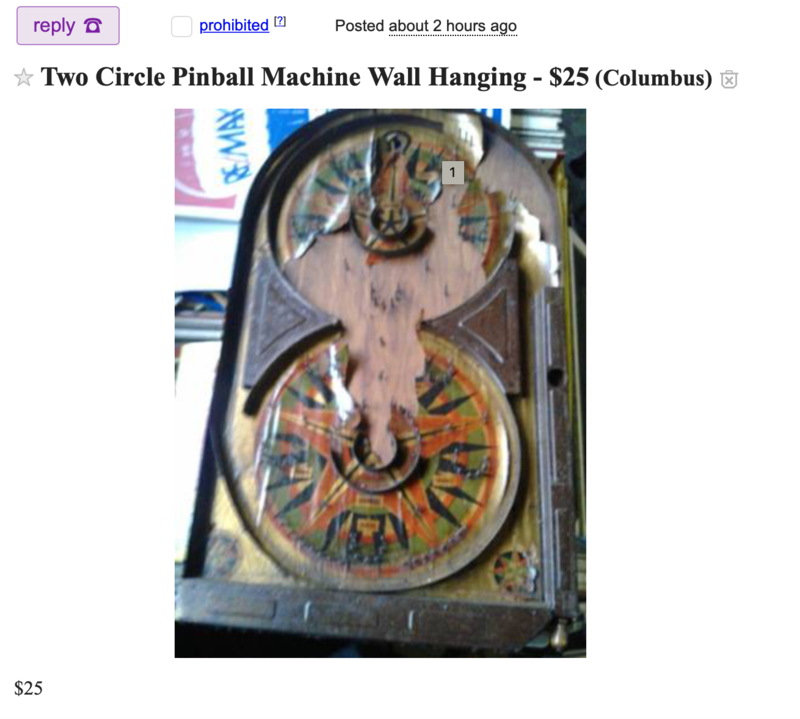 Looks like it was probably in decent shape before this guy got his hands on it. I just replied to him, letting him politely know what a shame I think it is that he has done. 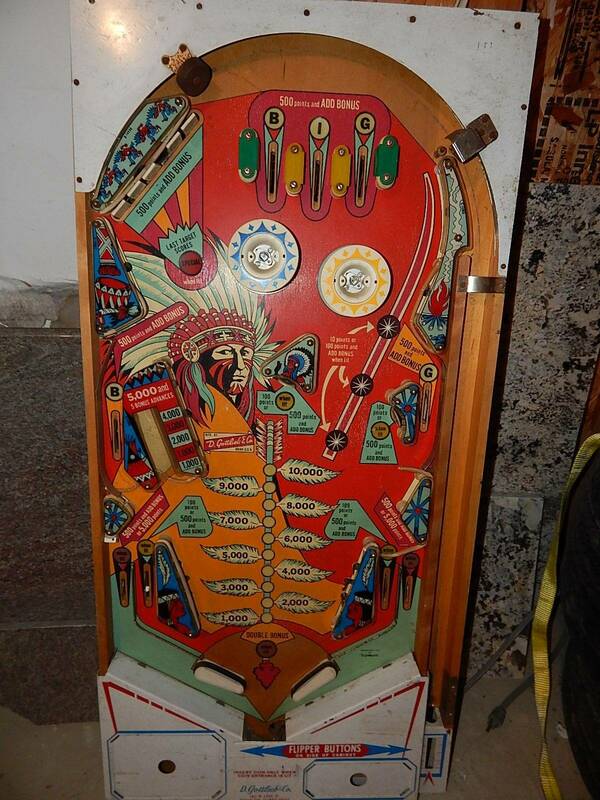 Wonder how many pin heads would have loved to have had that playfield to replace one that wasn't in as good a condition. 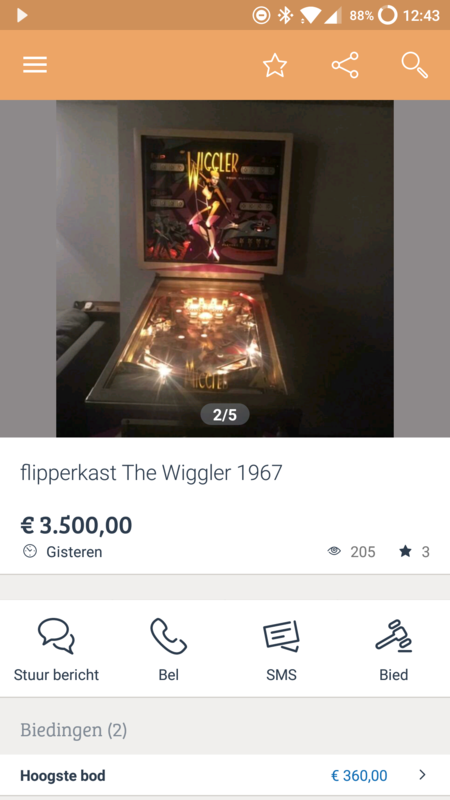 I just sold my EBD LE for 2K. Guess the non LE version does command a 10K premium. It all depends on what he had to work with. 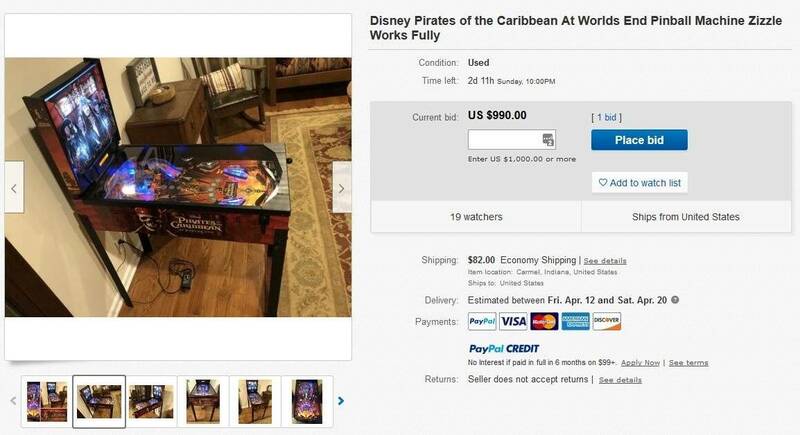 I doubt he took a working game apart to make that table. I took used playfields and made them into tables. The last two were wall decorations in a bar. 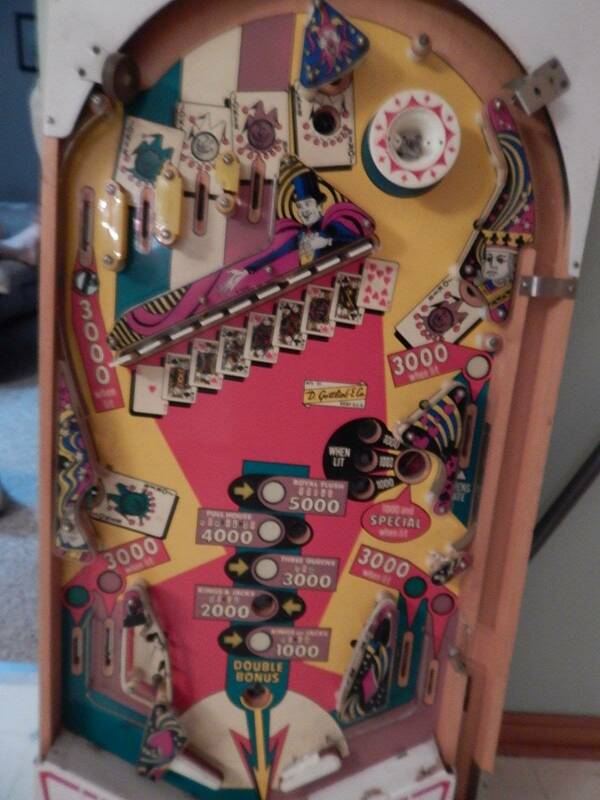 I bought lots of parts from pinball resource just to make the top side look good. 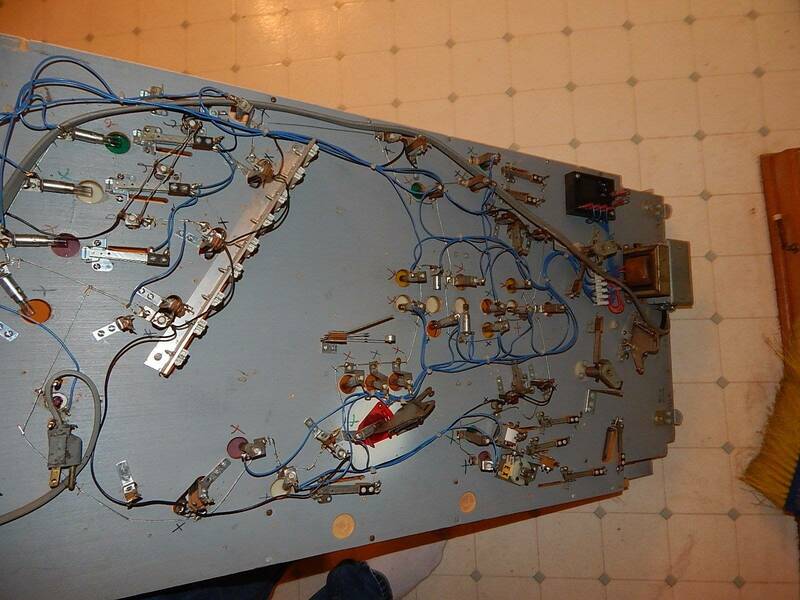 While the bottom was stripped of all the mechanicals and wiring. 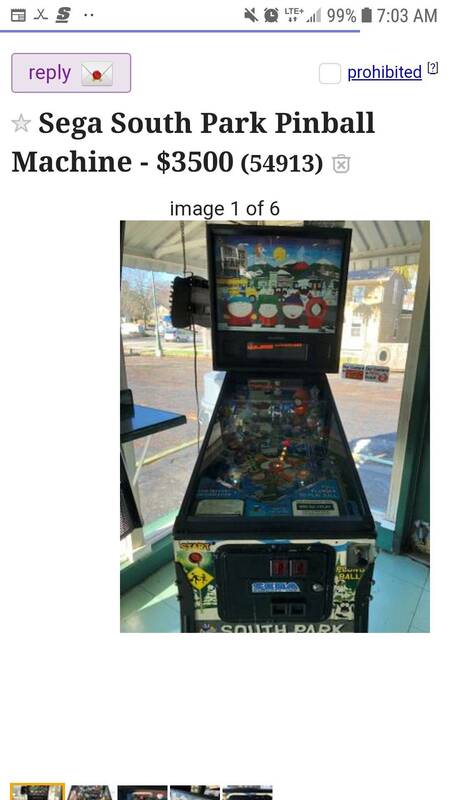 There is a bar in Texas that has several playfields as the table and the matching head mounted on the wall. What’s the power source you used for the bulbs? the 4 channel flashing lights were dead. So I got a string of LEDs 110 volts. 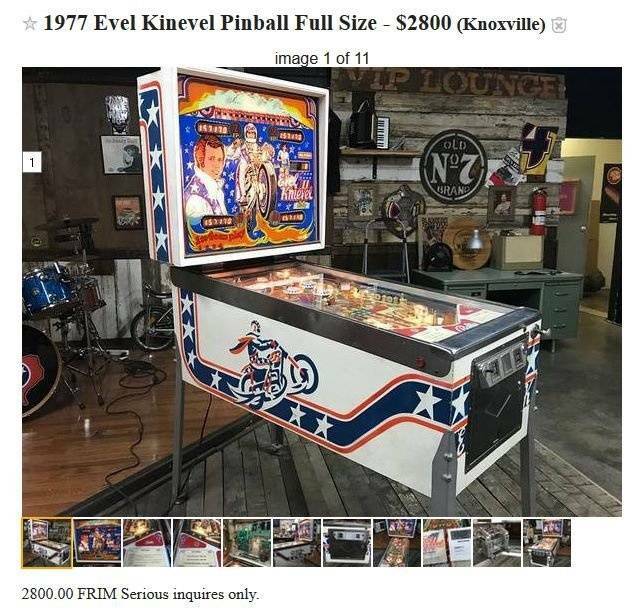 $3900 for an Evel Knievel oh and because he is soo generous only 1k for the Gorgar but only if you buy the EK. LOL. And remember folks... NO TEXTING! You misread. That's "Gorgon". It's so rare you've never even heard of it! 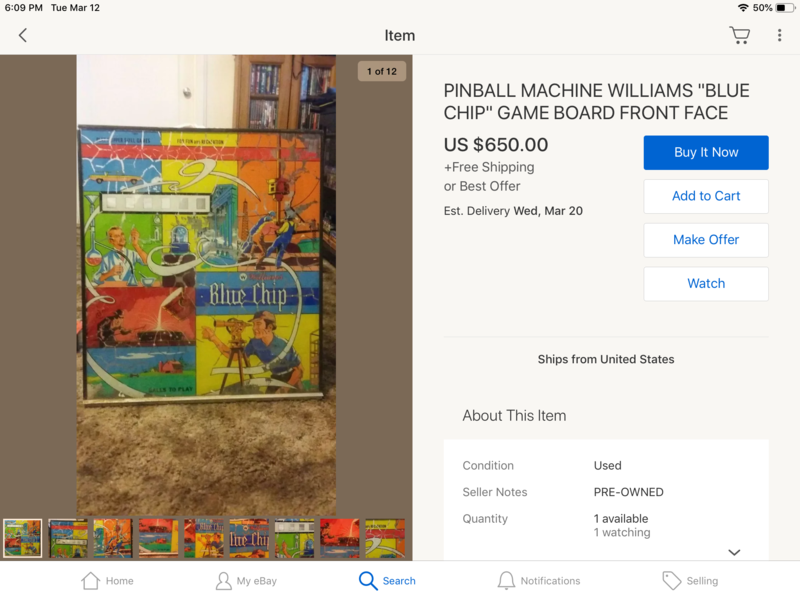 The USPS will ship that? Apparently for only $4.53 too!! 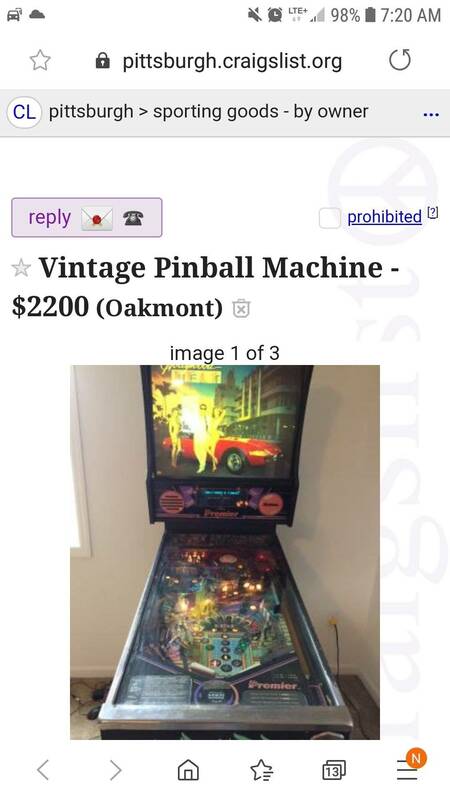 I'm sold, I've contacted the seller with my bank account and routing number, my full social security number and mothers maiden name!! Buy with confidence. How did you get his phone number in Nigeria? 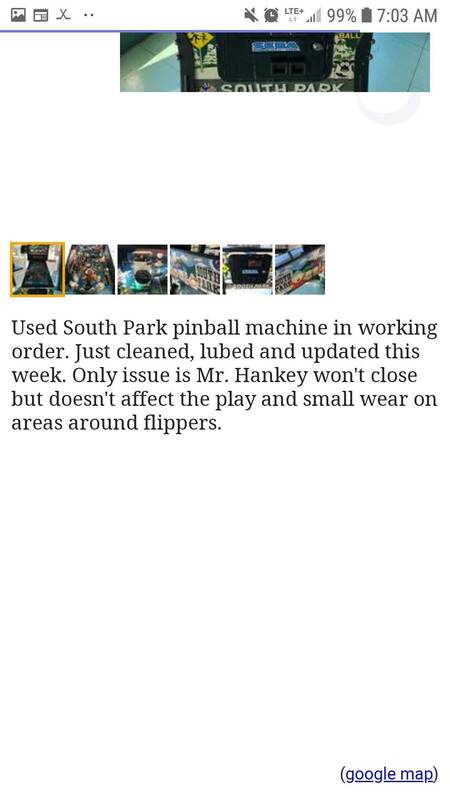 Used South Park pinball machine in working order. Just cleaned, lubed and updated this week. 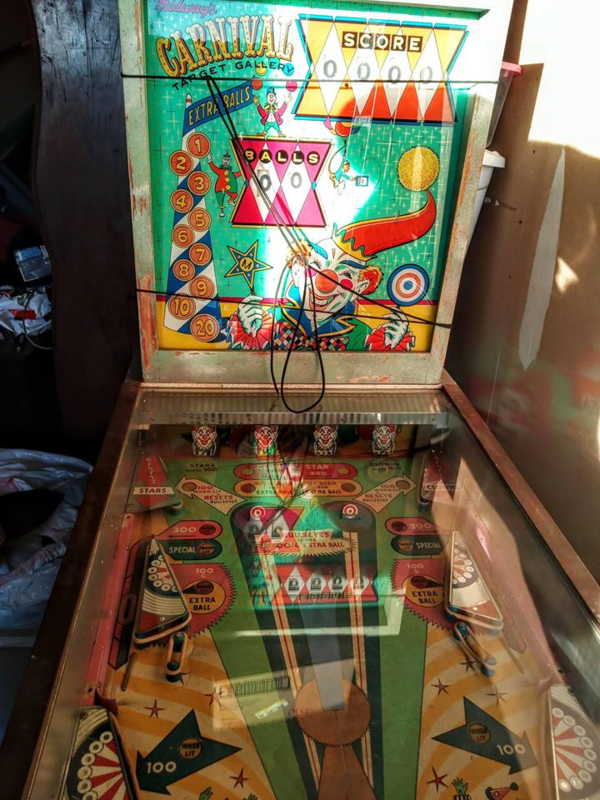 Only issue is Mr. Hankey won't close but doesn't affect the play and small wear on areas around flippers. For collectors-the Eric Cartman figure that sits on top is not included. But hey, it has the "complete Manual"
I own a self storage facility and people thing "Storage Wars" is real life too. Really? 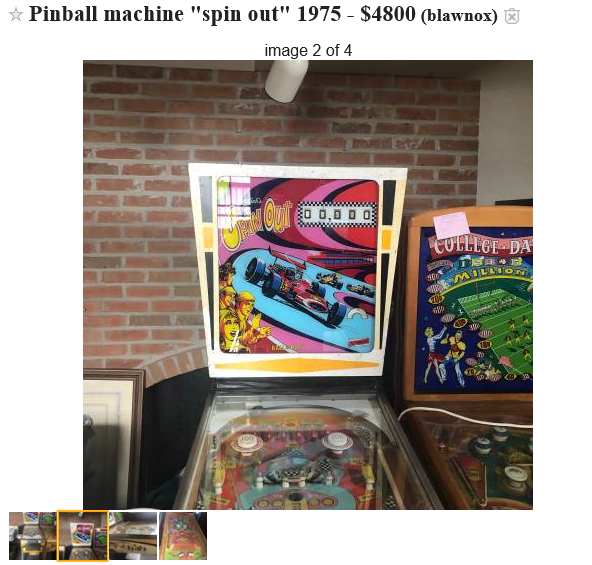 $1500 for a Zizzle pinball? Am I missing something? 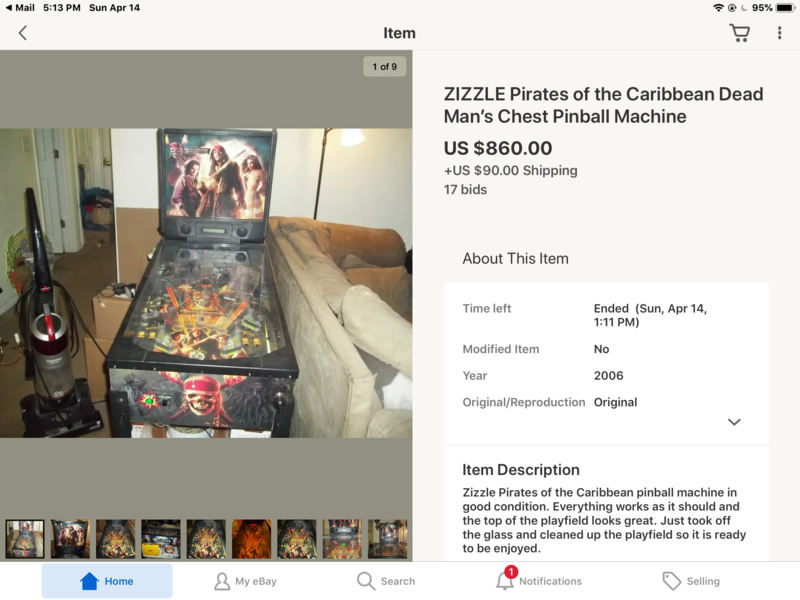 Do people actually pay these prices for a Zizzle pinball? 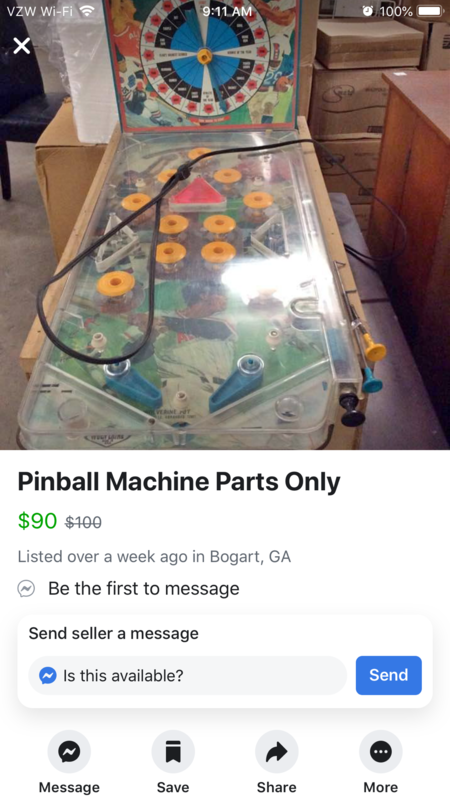 I wouldn't give $100 for one of these. Is this really the going rate for something like this? 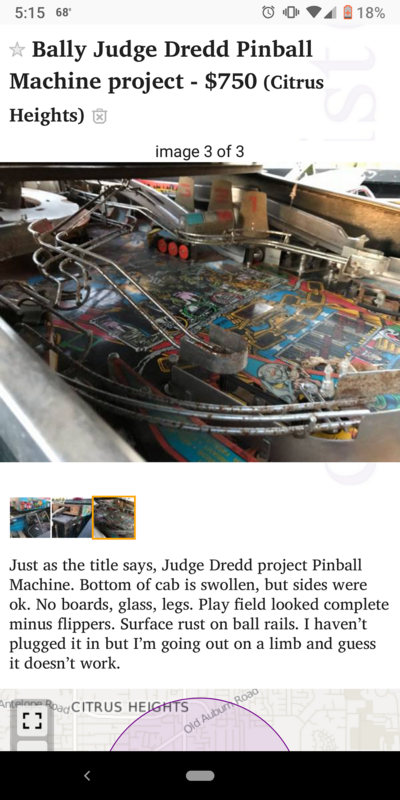 Doubt that there are any useable parts there.playfield good for wall art maybe. Nah, someone can save it. Most of the issues shown aren't big problems. 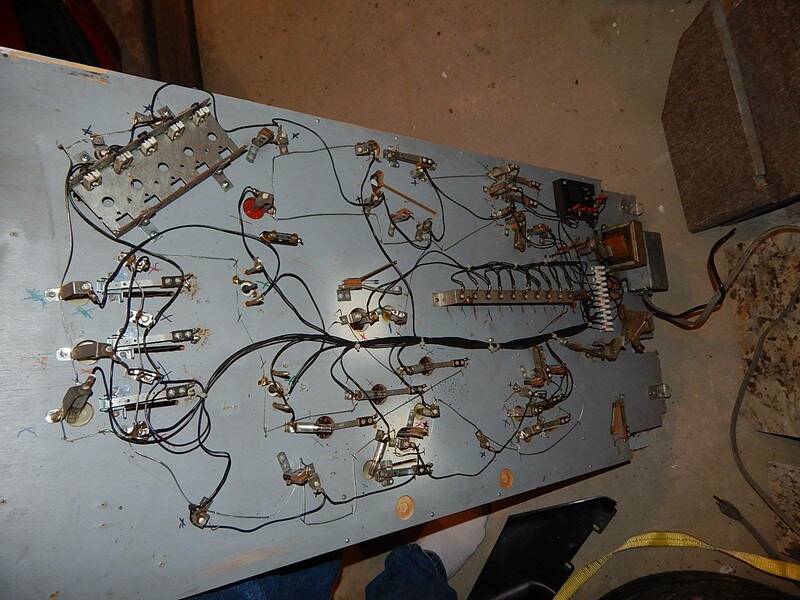 Boards, flippers, bottom panel, rust--all those can be addressed without too much difficulty. 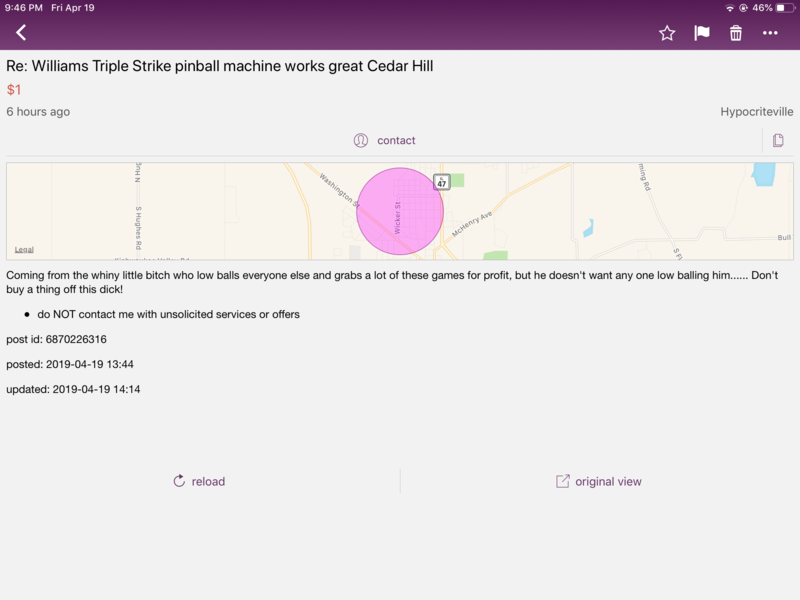 If the playfield is otherwise complete, it could be worthwhile. 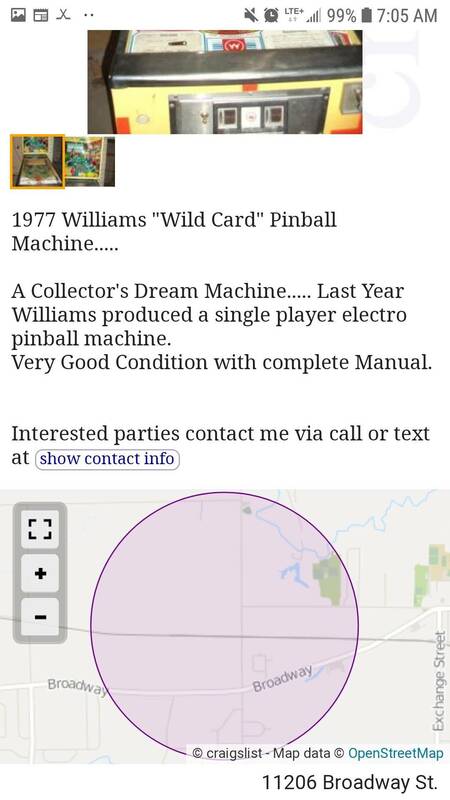 A bunch of those parts are unobtainable. 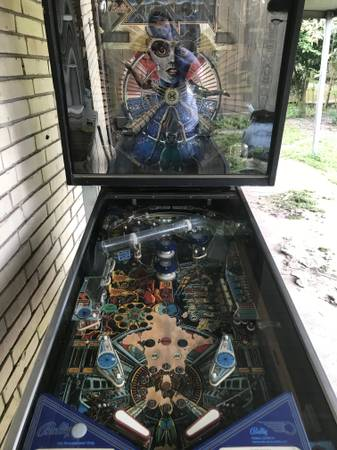 Someone would probably pay $750 for it. 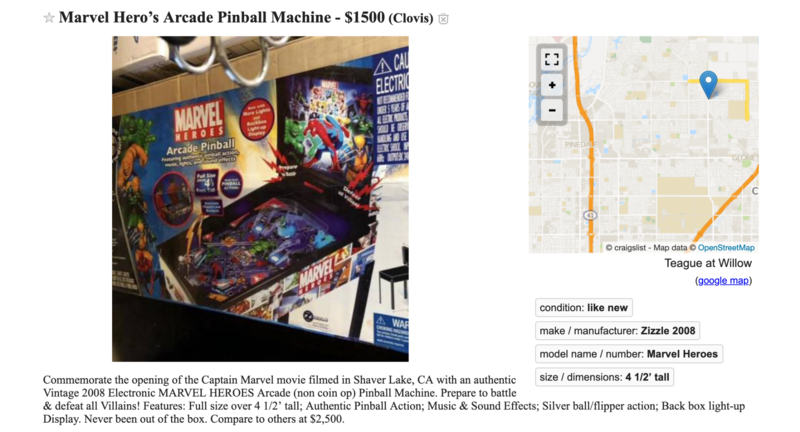 It's basically a $3k game these days. You need to take a unit and put a broken (no cracks on screen) tv in front with the whole unit filled with empty TV and electronics boxes and watch the idiots bid it up and you get to make money on some boxes. State has laws against that. We can cut the lock, open the door, and look inside. But we cant step foot inside or touch anything. Not sure which wall I should hang this on....?! 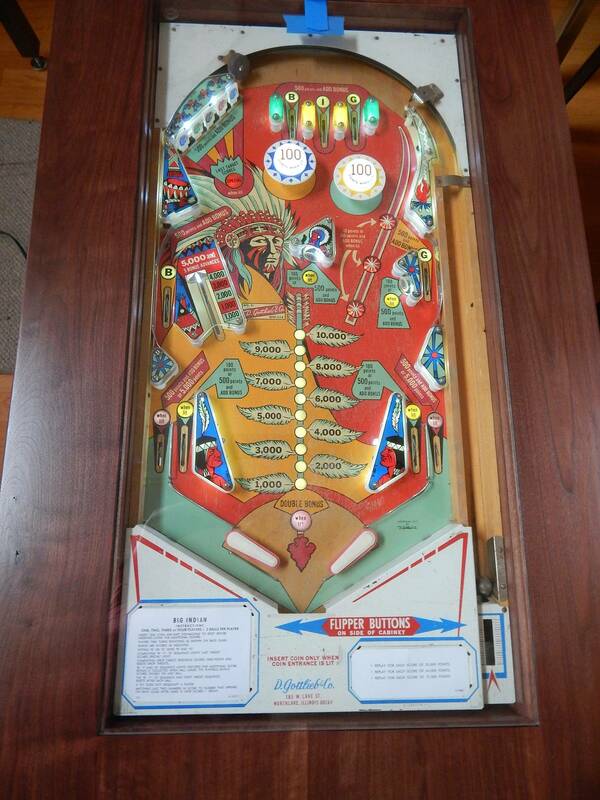 Needs a lot more than a "power panel".....how about a playfield? I'm always eager for the 'next' project, but NOT that one, gees!